We have been working with Arriva for a number of years and have been providing actors, background & walk on artistes and extras for many of their viral online campaigns. 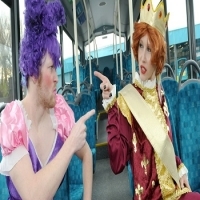 Mainly based in the Midlands and also occasionally in the North West these exciting viral campaigns have been anything from providing actors and various background artistes to play the part of individuals and families in a variety of scenes and circumstances using public transport for the first time. We provided actresses to play the part of ‘air-bus’ hostesses – this production was part of a campaign to promote a competition when purchasing a student pass. 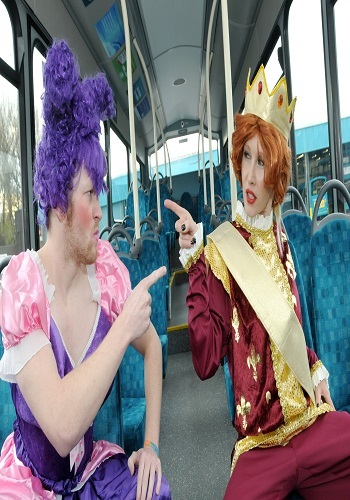 One of our most favourite campaigns and still makes us laugh today was a campaign back in 2013 for catch the bus week, the campaign was called ‘7 days, 7 ways’……who would have thought there were so many ways to catch a bus!! 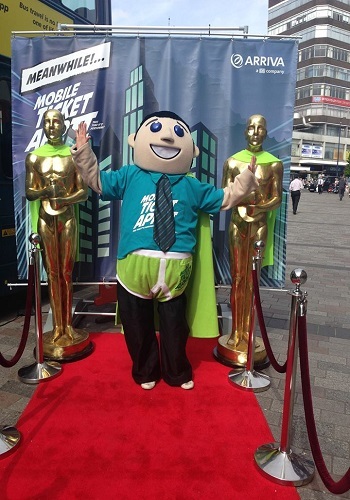 Another firm favourite was when Alfie and his friends show commuters’ moves to keep them fit whilst catching a bus and using public transport – our brief was to supply the artistes to work with the production crew. The feedback from the artistes was they thoroughly enjoyed this assignment. More recently Arriva required a Granny for a lost property campaign and we have also provided actors and extras for a campaign to promote a ‘bus champion’ driver of the year award where a number of our talented staff took part in scenes to promote the award and to encourage users of the bus service to vote for their favourite drivers. 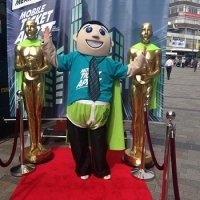 We also provide to Arriva Mascot performers based in various UK locations to promote their new ticketing system. We are always looking for new talent, it doesn’t matter what your specialism is, we provide filming extra’s, actors, walk-on artistes, models for campaigns whether this be paper, TV or viral. Check out the footage online.